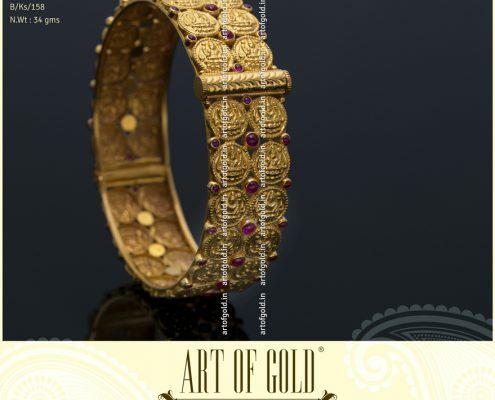 A resplendent Kada Type Kasu Bangle with an Antique Kemp Stone Motif. 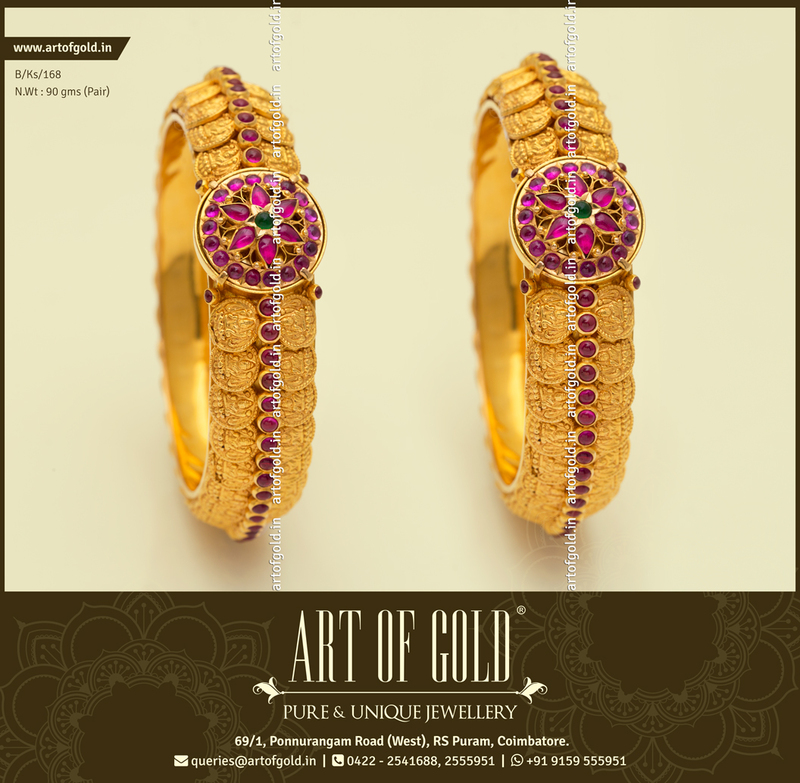 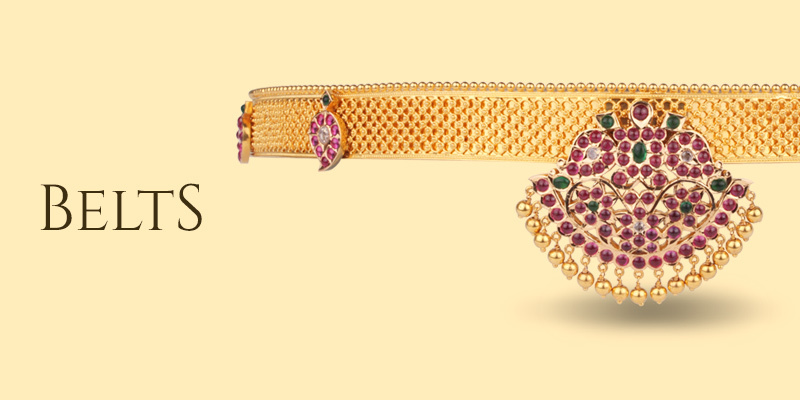 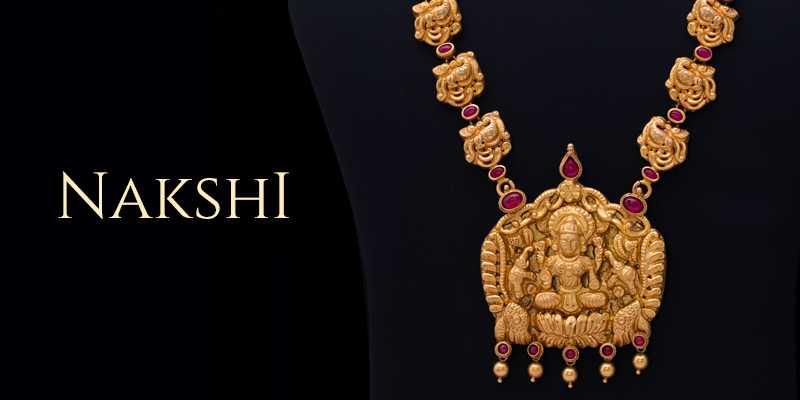 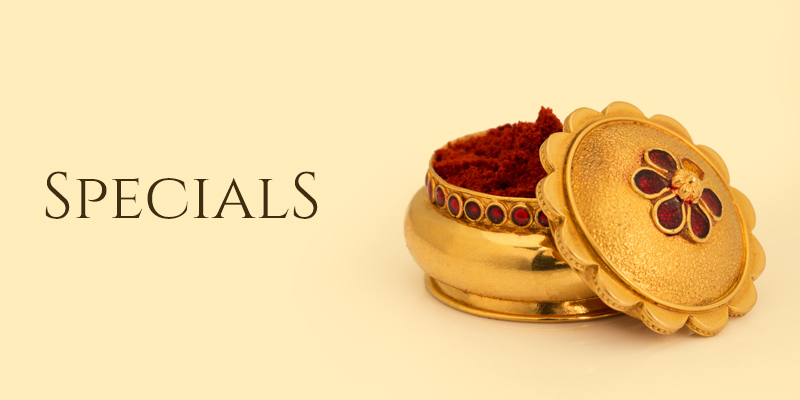 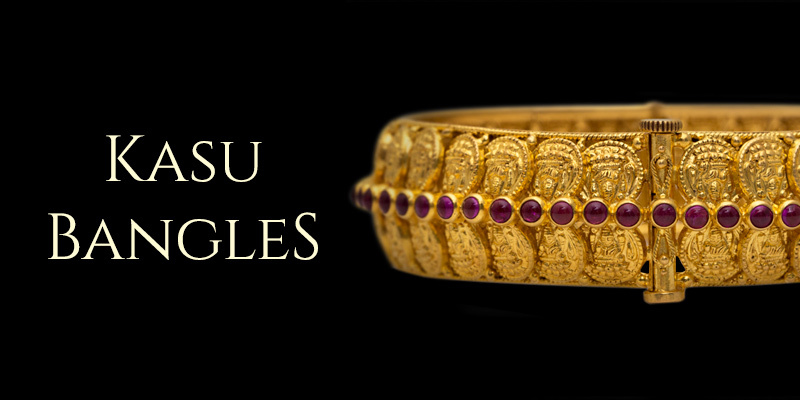 The textured kasu with embossed Lakshmi make this an truly unique piece of kada kasu bangle. 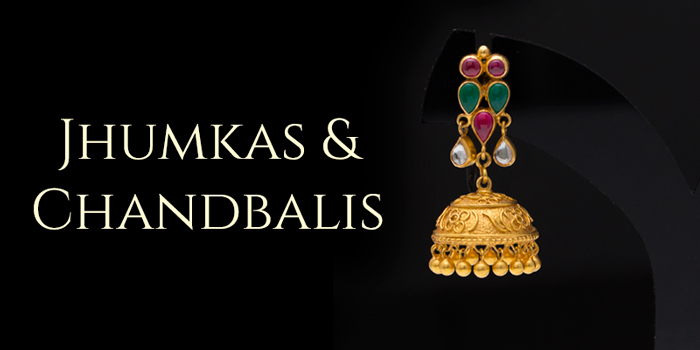 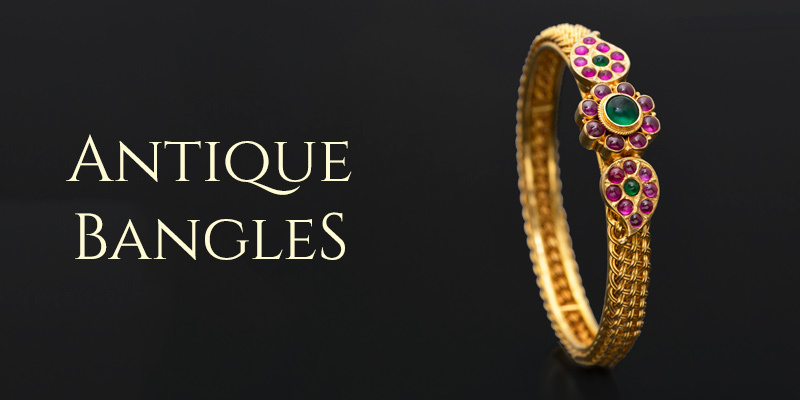 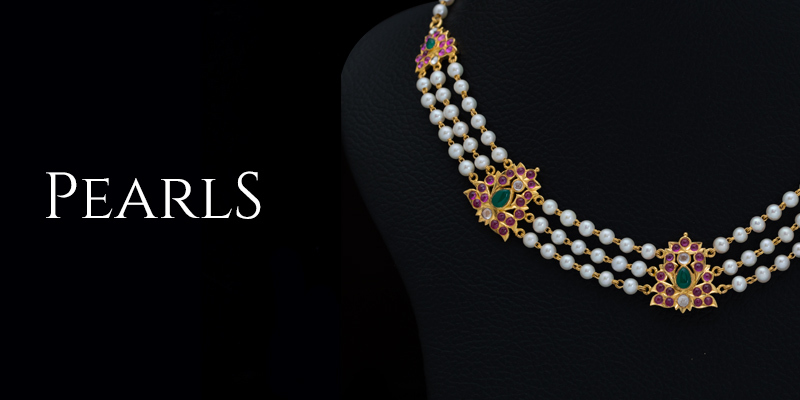 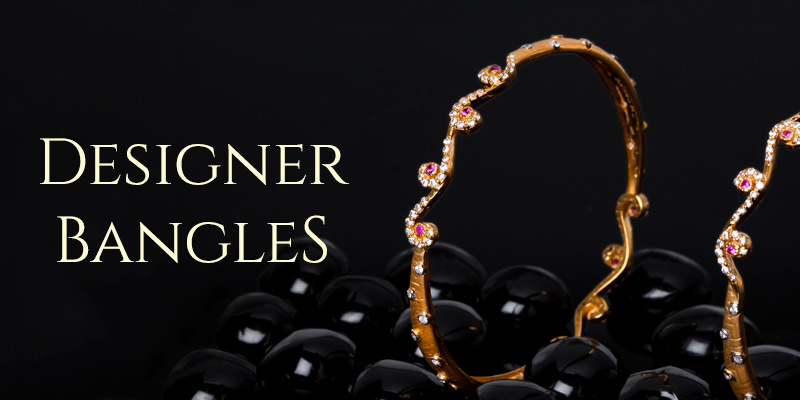 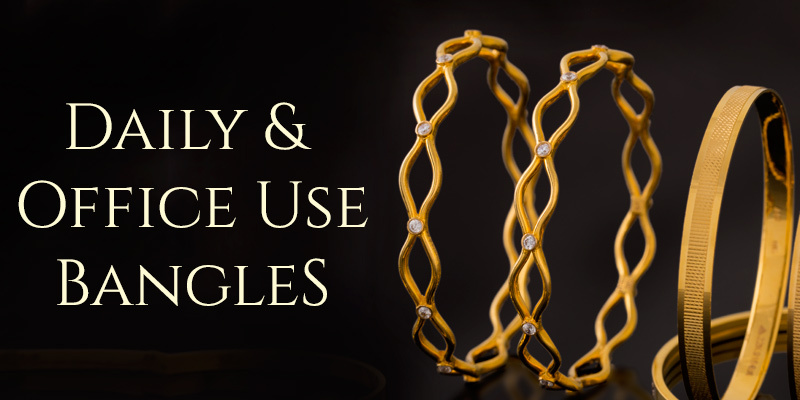 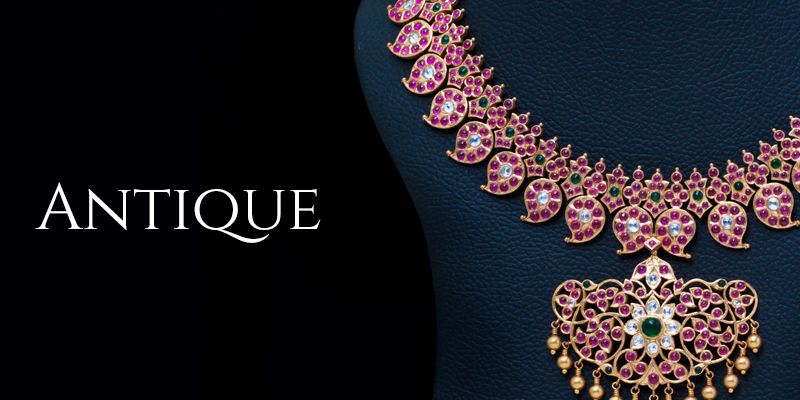 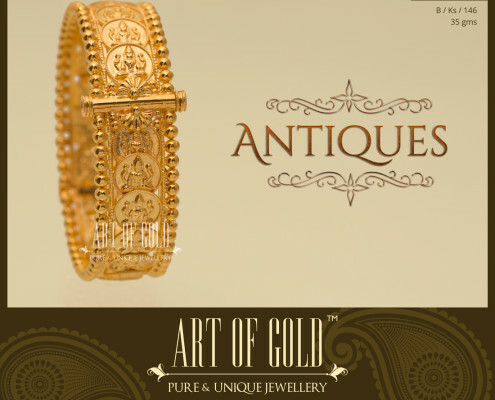 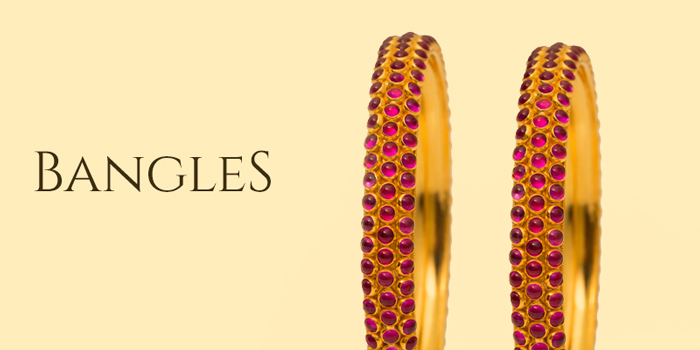 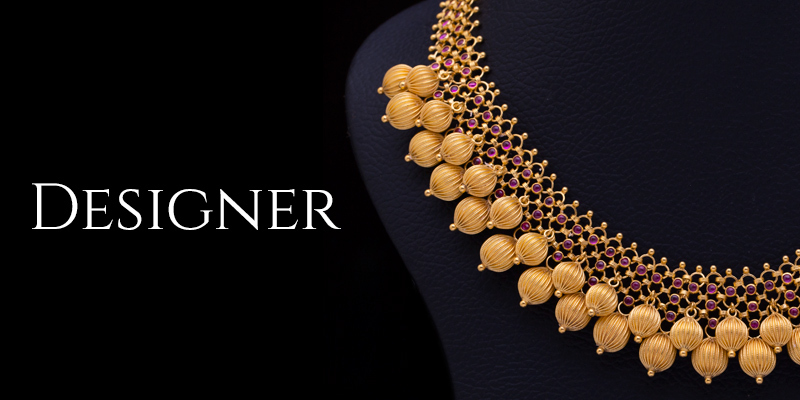 Customise the bangle with screw or more motifs or even kasu without deities.